This book addresses the unprecedented convergence between the digital and the corporeal in the life sciences and turns to Foucault’s biopolitics in order to understand how life is being turned into a technological object. It examines a wide range of bioscientific knowledge practices that allow life to be known through codes that can be shared (copied), owned (claimed, and managed) and optimised (remade through codes based on standard language and biotech engineering visions). The book’s approach is captured in the title, which refers to 'the biopolitical'. The authors argue that through discussions of political theories of sovereignty and related geopolitical conceptions of nature and society, we can understand how crucially important it is that life is constantly unsettling and disrupting the established and familiar ordering of the material world and the related ways of thinking and acting politically. The biopolitical dynamics involved are conceptualised as the 'metacode of life', which refers to the shifting configurations of living materiality and the merging of conventional boundaries between the natural and artificial, the living and non-living. The result is a globalising world in which the need for an alternative has become a core part of its political and legal instability, and the authors identify a number of possible alternative platforms to understand life and the living as framed by the 'metacodes' of life. This book will appeal to scholars of science and technology studies, as well as scholars of the sociology, philosophy, and anthropology of science, who are seeking to understand social and technical heterogeneity as a characteristic of the life sciences. 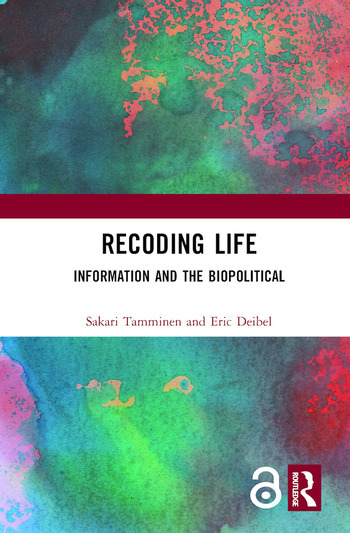 Sakari Tamminen is an Adjunct Professor of Science and Technology Studies (Anthropology of Science and Technology) at the University of Helsinki, Finland, and co-editor of Bio-Objects: Life in the 21st Century. Eric Deibel is a postdoctoral researcher in the Department of Biotechnology at Delft University of Technology, The Netherlands, and lectures STS to engineering students at Bilkent University.